Everyone living plastic free or zero waste does it a little differently because as individuals we have different preferences, different levels of knowledge, live in areas with different resources, products and services, and have different levels of support which can affect our decisions. As a family, our methods will change over time as we learn more, nearby towns progress, and family life evolves with growing children and significant life events. But for now, this is how my family lives plastic free and zero waste in 2018. Toilet paper: I get Who Gives A Crap toilet paper through a bulk buying group, but I also get Pure planet toilet paper which is made from bamboo and sugarcane waste instead of trees. Shaving: I have a stainless steel safety razor and use soap for shaving lather. I’ve also extended the life of my disposable razor with this handy sharpening trick. My husband uses an electric razor. Waxing: I ‘wax’ with homemade sugaring paste. Cotton tips: Our cotton tips are made with a bamboo stick instead of plastic which means they can go in the compost after use. All the packaging is cardboard and will be recycled. Deodorant: I use homemade deodorant using ingredients I can buy in bulk. I’ve also tried a salt stone, vinegar, and various bought brands. I don’t notice any difference between any of them, and I haven’t found an option that I am satisfied with. As someone who works from home, I usually go without deodorant altogether. My husband uses an antiperspirant in an aerosol can which we recycle. Hand wash: Unpackaged bar soap. Face wash: Just water and occasionally unpackaged bar soap. Moisturiser: Usually nothing as I’m not stripping my skin of oils and my skin has balanced out quite well but I use small amounts of coconut oil when I need it. I get coconut oil in bulk but you can also buy it in 1 litre glass jars . Lip balm: I make my own from ingredients I get package free. Make up: I wear it maybe four times a year on special occasions so it’s going to last a long time. This means I have no need to make my own makeup or look for sustainably packaged alternatives at this point in time. Check back with me in a couple of years to see if this has changed. Contact lenses: I recycle my contact lenses and the blister packs via the Bausch + Lomb Recycling Programme at Terracycle. Dental Hygiene: We use bamboo toothbrushes. We have decided to continue to use store bought toothpaste and recycle the packaging. The plastic tubes can be recycled through TerraCycle’s Oral Care Recycling Program. I do not buy dental floss. I stick my toothbrush bristles between my teeth or use a steel pick that I picked up somewhere. You can also use thread from scrap fabric around your home if you can find one that won’t break. If you feel you need to buy dental floss, the packs are recyclable through TerraCycle or you can seek out some biodegradable versions. I haven’t found an Australian biodegradable dental floss and for those who are vegan, there are no vegan options either. Hair washing: Everyone in our family washes with water only most of the time. Occasionally I use a shampoo bar (here are some others you might like to try). But these days I mostly choose to use bi-carb soda mixed with water to wash, followed by a kombucha vinegar, lavender oil and water rinse. Hair colour: I decided to give up dying my hair and return to my natural hair colour because I want to age gracefully and reduce the amount of chemicals my body is exposed to. Hair styling: I use a hair dryer and a hair straightener when the occasion calls for it. I also made some hair styling wax. Menstruation: I use a menstrual cup and underwear with a built in liner. Contraception: My husband had a vasectomy (what a legend!). Sunscreen: Homemade sunscreen has very low SPF so I’m not prepared to use that on my kids. Instead I buy sunscreen in a large bottle for the whole family to use. Larger bottles are preferable because of the surface area to volume ratio which means you get more product compared to packaging than with smaller bottles. When it runs out we recycle the bottle. We also wear protective clothing to reduce the need for a lot of sunscreen. We are also trialling this natural sun zinc which comes in a tin. Insect repellent: I use a natural balm which comes in a tin. Medication: Most medications must be taken no matter what they are packaged in, however we do try to use simple, natural remedies first and dispose of unwanted and out of date medicines via the RUM project so they don’t end up in landfill or waterways. Most plastic bottles can be recycled. First aid kit: A first aid kit in the home is wise, but they do include a lot of packaging. That doesn’t mean I am not going to have one if it means a life could be saved or serious injury be prevented. I stock my kits with the ‘waste’ from workplaces and keep it well beyond the use-by date. Learn more here: Can You Use Out Of Date First Aid Stock? Washing / laundry baskets: I use cane baskets, one of them is lined with linen. Washing machine powder: I bought my laundry powder in bulk. There are brands in the supermarket that are completely plastic free if you don’t have bulk supplies near you. Or, you could make your own. Clothes drying: We line dry using stainless steel pegs and bamboo pegs. In Winter we dry beside the wood heater on a wooden rack. Stain remover: I use sunlight, eucalyptus oil, soap, or washing soda for stains on clothing, carpet, and other fabrics. I’ve only ever seen washing soda in plastic bags so I started making it myself. I aim to buy Australian, organic essential oils with as little packaging as possible. I’m hoping I’ll be able to get essential oil refills somewhere by the time I’ve emptied these bottles. Here is a more detailed post about my zero waste laundry. All-purpose cleaner: I mostly clean everything with hot soapy water. I have replaced white vinegar with homemade kombucha vinegar which I use to clean windows, mirrors, and the bathroom. Gloves: I usually don’t use any but on the odd occasion that I do, I use a pair made from natural rubber and cotton. At the end of it’s life the rubber can be reused as elastic ties before being left to biodegrade. Dishwasher: My bulk bought powder ran out so I tried using bi-carb soda on its own. I found it didn’t perform well over time so now I use a plastic free powder I found in the supermarket. I occasionally use vinegar as a rinse aid. Hand dishwashing: I have done a range of different things including buying a bulk amount of detergent (otherwise you can refill from bulk containers at stores or stalls offering this). Buying the bulk sized container is a bigger up front cost but you will probably save money, time, and still be responsible for the same amount of plastic packaging. Now I use any kind of bar soap (beware Velvet Pure Soap contains unsustainable palm oil). Dish cloths: I use old cotton tea-towels and other rags that I have cut up into appropriate sizes. They get composted when no longer usable. Dish drying and hand towels: Reusable cotton tea towels or worn bath towels cut to size. Cleaning wipes: I use our old towelling nappies and rags for cleaning and drying surfaces. I use scrunched up newspaper for windows and mirrors. The newspaper gets composted when I am done. Scrubbers: I think steel scourers are amazing. They lasts forever and can go in the compost when your done with it. I use crushed egg shell in place of bottle brushes because it works better. I have a reusable straw cleaning brush (unfortunately the bristles are synthetic), and I use an old bamboo toothbrush for cleaning grout and other tight spaces. I still have my old plastic toilet brush in one of the toilets but in the other I have a completely compostable brush in a Moccona jar. And in the laundry I still have some plastic scrubbing brushes which get used for tough jobs like cleaning grout between tiles. Disinfectant: Eucalyptus oil when needed. Floors: Boiling hot water, bucket and a mop with homemade sponges. Sometimes I use soap. Descaler: Washing soda is great for descaling kettles, toilets, and washing machines. It is also amazing for cleaning burnt pots. Air freshener: I open the windows. Sometimes I bring herbs, flowers or foliage in from the garden. Lately I have been placing a scrap of fabric with some drops of lavender essential oil on it into the vacuum cleaner. The smell of lavender fills the house. Dining table and chairs: Made from recycled timber. Fridge/freezer: Obtained second hand from a relative who didn’t need it. Utensils and pots and pans: Almost all made from wood, glass and stainless steel and many obtained second hand. We have a couple of plastic things still in use like Tupperware containers and measuring cups. Baking paper and aluminium foil: Reusable baking sheet and the parchment paper my butter comes wrapped in. Cling wrap: Homemade beeswax wraps, containers, plates, and teatowels. I talk about the options here. Food and drink: I buy our meat in containers, our bread in homemade cloth bags, our produce in reusable produce bags, and I visit a range of stores to buy as much as I can from bulk dispensers using my own cloth bags and glass bottles. I grow and make some of own food and drink, but I also rely on buying a few things in glass, paper, cardboard, or a can which I recycle. Food storage: Containers, jars, bottles, bags, or loose in the crisper drawer. Compost: Food scraps and anything made from biodegradable materials, which can’t be recycled, gets composted. I like to call this extreme composting. Our chickens and dog also get some of the scraps. These days I use the dig and drop method of composting. Landfill bin: We no longer need a bin liner or a bin. Make sure you are aware of all the consequences if you choose to use newspaper as a bin liner. Recycle tub: We don’t have kerbside waste collection so I sort our recyclables and take them to a transfer station in my car every couple of months. I reuse the boxes. Whiteboard markers: We have markers made from recycled paper but in the future we will use refillable markers. Sticky tape: we found a biodegradable brand made from cellulose and rubber based adhesive. USB stick: Made from recycled paper. Printer: We don’t have one. Laptop, mobile phone, and other electronics: These will be recycled through e-waste recycling facilities at the end of their life. School uniform: We have managed to source almost all our school uniform secondhand. However, next year the uniform is getting a complete overhaul. I’ll be looking for ways to reduce the amount of packaging we end up with. Kids clothing: We have been so lucky to receive good quality secondhand clothing from friends and relatives since the day the kids were born, so I have barely needed to shop for kids clothing. We’ve even had a pretty good run with shoes. However, now the kids get good-fitting new shoes which they wear out before getting another pair. These shoes become landfill waste because they are beyond further use and Australia currently has no other way of dealing with this material. We also pass on clothing that has been outgrown. We have one relative who sometimes buys new clothing for the kids as gifts. Adult clothing: I have not shopped for anything other than underwear and shoes for years. I get enough secondhand clothing given to me to keep me happy. Shannon’s approach is to have a fairly small number of items which get a lot of use and then every couple of years he buys a few good quality pieces new. We are conscious of plastic fibres being an issue and look for clothing made of natural materials. There is a system for all the clothing in our house where items move from being clothes we ‘wear in public’ to clothes we wear ‘around the house’, then ‘on the farm’, and finally we turn them into rags or compost them. Sometimes clothing is repurposed before it becomes farm clothing. Sports uniforms and gear: We look for secondhand or hire options, but when we need to buy new gear we avoid packaging as much as possible. I wear contact lenses for netball which generates a small bit of waste. Toys: We focus on giving experiences instead of stuff. I do give the kids pocket money which they are free to spend how they like. Being kids they sometimes want cheap plastic toys, but I feel they are learning a lot for themselves with this approach. For example, how easily cheap plastic things break and saving money for valuable items. Cubbyhouse: We made a cubbyhouse entirely from salvaged materials and filled it with household items from the op-shop. Sand pit toys made from wood, steel, glass, ceramic, and other items from nature like shells, rocks, and banksia seed pods. Tools: We borrow or hire tools that we don’t have for one-off projects. We repair what we can. Oils, lubricants, etc: There is still a bit of stuff floating around in the garage from years gone by, but now whenever we need anything we buy it in a can. We will recycle appropriately when they are empty. Paint: Unwanted paint and paint packaging can now be recycled via Paintback, which is where I took our old paint. Tools: We use metal and wooden hand tools and try to maintain and repair them. More detail can be found in this post: Garden Tools – Buy Less, Choose Well, Make It Last. I use biodegradable string or old t-shirts that have been cut up for ties. I use fallen branches to make trellises. Hose fittings: As things break I have been replacing them with brass fittings instead of the plastic ones. I also reuse things I find. Plants: I avoid plastic pots by buying bare-rooted trees, saving seed, and swapping seeds, seedlings, and cuttings. When I do have pots, I return them to a nursery nearby by which reuses them. This post, 6 ways to get package free plants, provides more detail. Fertiliser: Here’s a post outlining 9 ways I make fertiliser using waste from around my home. Some nurseries sell bulk seaweed and fish emulsions for you to refill your bottles or you can easily make your own. Compost: At our new house I use the dig and drop method with free range worms. Weeds: Weeded by hand or with tools. Boiling hot water. Pests: I use netting over the vegetable garden and the chooks roam around the beds. Chickens: The chook house is made entirely from second hand materials. I use shredded newspaper to line their nest boxes and this gets put in the compost when the boxes get cleaned out. They are able to forage for their own food but we also buy grain. I buy the biggest bag I can find and take it to a RedCycle location when empty for recycling. I have also planted plants that I read are good for chook health. Dog: Our dog sleeps on old blankets in the garage. I buy the biggest bag of dog food I can find (20kg) and recycle the bags via the REDcycle program. Our property is big enough (and she has good manners), so I don’t need to clean up dog poo. It is possible to do this plastic free and to compost dog poo, but please do your research so that you understand what is required. I have a shampoo bar for washing her. She receives appropriate worm and flea treatments direct from the vet which generates a very small amount of waste. More detail can be found here: Our Zero Waste Dog. Eating out: We don’t live or work in a town so we don’t get a lot of opportunity to eat out. When we do, we don’t often have leftovers but I try to remember a container to take them home if we do. Takeaway food and drink: We use our own containers and cutlery, otherwise we opt for fish and chips, pizza, or something else that comes in recyclable or compostable packaging. We always take water bottles with us. Sometimes we allow the kids to have a drink out of a can, or glass bottle. We use Keepcups for coffee and other drinks. School lunches and lunch orders: We use a range of simple tools for waste free lunches including containers, cutlery and reusable lunch order bags. I even send a tub of soy sauce so we don’t get the plastic fish bottles. Holidays: We take our ‘resuables’ with us and do everything we would do at home on holidays too. Here are my holiday reports from the past two years – Vacation in Vanuatu and 9 Lessons Learnt From Our Zero Waste Family Holiday. I love that this journey pushes me to be more self-sufficient and resourceful with the things I already have. There’s less clutter, less toxic chemicals, and more love put into the things around us. Please feel free to share your tips too. An earlier version of this post was republished by 1 Million Women, a movement of women acting on climate change through the way we live. Love this thank you for sharing! So many good ideas listed. Thanks for your comment Cat! I’m looking forward to sharing more great discoveries that help us live waste free and sustainably. 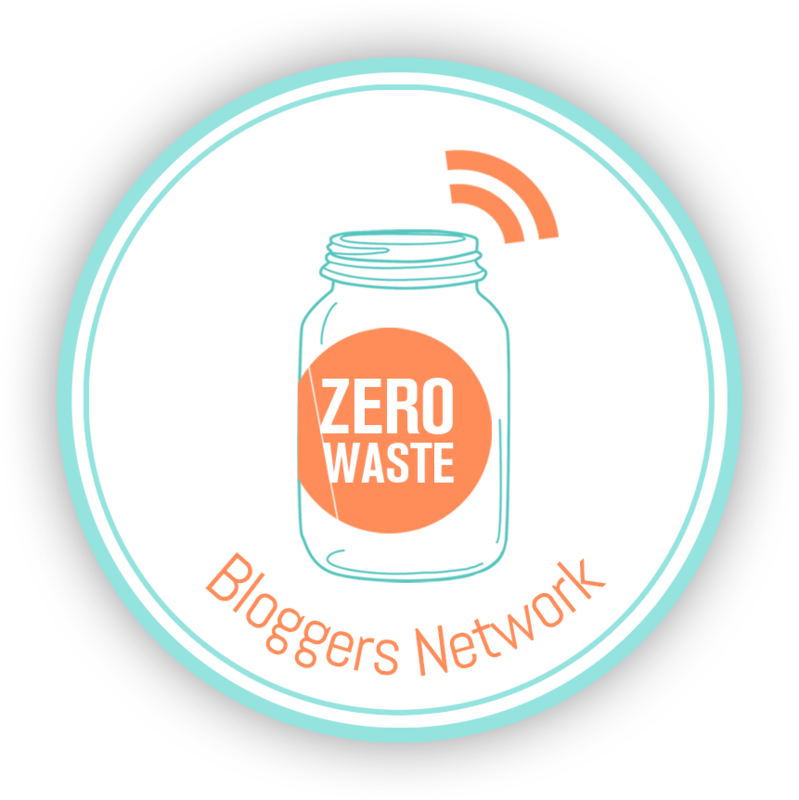 I am leaning towards minimising our waste and already do a lot of what you do (yay). I didn’t even click on to putting old cotton cloths in the compost- how long do these normally take to break down? And the steel wool ? How long does that take to break down? Also – I’ve always wondered about dryer lint. If this contains some non organic fibres and goes into the compost then it won’t break down. Generally our fabrics are natural but I still thought maybe not such a good idea??? Hi Olivia, it really depends on how well your compost works and how much of it you have to ‘hide’ things. Cutting them up or pulling them apart will help it break down quicker. Some things of mine seem to have disappeared in 9 months but I haven’t been looking for them. I reckon you are right about the lint, it wouldn’t be the best thing to have in your compost. I came across your post by accident , but so so glad i did . Sometimes we all need a little glimpse of how we should be living . I have started to live a similar life style and have been made to feel like I’m a little bit crazy, for actually worrying about the rubbish i will leave behind and the effect it will have on following generations. Yes it is hard to live a more conscious life style because i have found that i have to make the effort to think about all the little things and come up with alternatives. I still have a long way to go. I find your posts so inspirational.and a wonderful poke when i start to get the whinges that its just too hard. Hi Lyn, I’m glad you found the post because I felt the same before I started blogging. People used to make out like I was a crazy greenie and it was hard not to give up. I’ve since discovered a whole community of people who feel the same way and keep me motivated through their support. It’s hard not to have down moments sometimes though, the problem is so big. Let’s keep doing our best. Your homemade laundry powder is already sitting in your cupboard. For a full 5kg load, I use 1 Tablespoon finely grated pure soap with 1 Tablespoon washing soda (to soften the water and activate the alkaline soap) then add white vinegar and a few drops of eucalyptus and lavender oils to the rinse (vinegar is the acid to deactivate the soap) and freshen the wash, as well as make the clothes moth repellent. My clothes are cleaner than any commercially made laundry powder ever made them, my brother’s eczema has vastly improved, the clothes are much easier to iron without all those residues in them, and they smell so much better than that nasty cloying fabric softner perfume. I put the soap & soda in the machine first and run some water onto them to speed up the dissolving. A friend of mine is much busier than I, so she dissolves her soap in hot water then cools it and keeps it in a jar and uses 2 Tablespoons to allow for the added water. Give it a try, you will be surprised how well it cleans your clothes. Sometimes the simplest ways work best. Super resourceful! This could not gave come at a better time because I was just thinking of starting sugar waxing this summer. Also, great tips on the TP! Thanks Nadine. Would love to know how you go with waxing, it’s tricky to get right. Thanks o Guru. I am learning learning learning. TerraCycle recycles toothpaste tubes, toothbrushes and their packaging, and dental floss containers. Go to http://www.terracycle.com.au for more information. How long does it take to compost the baboo toothbrushes? I use them as seed bed labels first. After about a year in the weather like that, you can start to break them apart with your hands. I guess how fast they compost really depends on how well your compost heap/bin works. Thank you, and thank you for sharing your information with me 🙂 You’ve saved me some research time in two areas! A great blog, Tammy. Thanks. I’ve been gradually going plastic free since the beginning of the year and I love hearing about other people and how they are going and they’re ideas. After trying different dishwashing soap ideas I have ended up using velvet soap too. It works just fine. I haven’t been able to find washing soda without plastic packaging either, but I don’t know how to make it. Could you share your recipe? At the moment I’m trying to source Autralian castile soap in bulk, where I can refill my own container, but I’m finding that a challenge so far. And about a month ago I stopped using soap in the shower and just wash with a flannel and water and use castile soap on my hair. My skin is fantastic. No longer dry at all and really soft. I’m loving it. All in all, I love the challenge. If you didn’t find a suitable flossing solution yet, Pearl Bar are an Australian made brand of biodegradable tooth picks. Their packaging and the picks break down after 6 months once disposed. I did have a chuckle at your hubby’s reluctance to use anything but aerosol deodorant. Mine was very resistant to using roll on, but eventually converted because I have a smell sensitivity. He’s using up what he’s got when he goes away. I love how you’ve broken everything down. 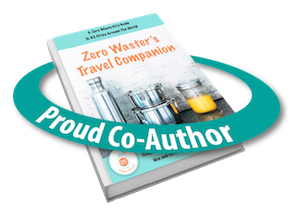 Your zero waste story is so comprehensive! It’s the best I’ve seen so far. My aim is to keep updating this as we go. Thanks for sharing so many great ideas. What at first seems so impossible, actually can be quite simple. I’ve just started to take this plastic free approach seriously, but wonder about dairy products. How do I get yogurt, cream, ricotta, milk etc??? Dairy products are definitely tricky. I live on a dairy farm so have easy access to milk which I sometimes use to make other products like cheese and yoghurt but it does get hard to find the time. I have another post about options for cheese here https://gippslandunwrapped.com/2016/06/01/5-ways-to-get-plastic-free-cheese/ which I hope will help. You might be able to buy large yoghurt tubs instead of single-served sized ones or even somewhere to take a container to get yoghurt but it’s rare. Let me know if there is anything else I can try and help with. Hello! Loved this article, found it super helpful! My husband, and daughter and I have downsize significantly, over the last year. We live in a RV/tiny… And will be embarking on a more serious plastic free, and zero waste lifestyle starting in September. I’m currently in the prepping stages, trying to do some research making sure that will be set up for success. I’ve been trying to find a good way to purchase coconut oil, but can’t seem to find a store that sells it package for you. You mentioned that you purchase a package for you, how did you go about finding provider. Would love your insight. Thank you! You have a lovely home, the design as well as all the amazing and creative zero waste things you do, really inspiring! Thank you. We are lucky with the home as it’s a farm house provided as part of my husband’s work package. i have been reading your entire post. it gives a great overview. i like how you made it so structured. it is good to read and not tiring. it is inspiring how you and your family manage. i am trying to live with less trash and slowly to convince my american influenced icelandic viking it is not only more work. thanks for sharing. i send windy snowy greetings from the south west of iceland. Hi, Tammy thanks for sharing your great ideas. I was just wondering what you did about milk. All the larger sizes are plastic or do you just use the smallee cardboard boxes but dont they have a plastic liner. Im finding milk hard and Im in Bairnsdale. Hi Patricia, I have an advantage in that I live on a dairy farm and can take raw milk from the vat. The cardboard boxes are lined with plastic, but I’ve heard some people justify that these are better because they have less plastic than the two and three litre plastic bottles of milk, and the paperboard has a high likelihood of being recycled into paper (the paper and plastic components can be separated in the recycling process). I don’t know how they know this for sure. Some lifecycle assessments say the plastic bottle is more environmentally friendly because it uses less resources in production and transportation, and can be recycled (but we know plastic recycling is currently low and can only be done a few times – as can paper recycling). Another advantage with the larger plastic bottles is that the ratio of milk to packaging is more than for smaller containers. So I don’t think I’ve made things any easier; just make a decision that feels right for you until we can find more information or until a better reusable option becomes available. Amazing! Thank you for sharing, I will definitely be using many of these ideas! What tips do you have for freezing meat, without killing the bank?